Unlock Motorola Defy Mini XT321 - Safe IMEI Unlocking Codes for You! Unlock Motorola Defy Mini XT321 Handset! In case your Defy Mini XT321 doesn't ask for the code and there is no designated field to enter it, please DON'T PLACE ANY ORDER, contact us first for support. Unlock now your Motorola Defy Mini XT321 handset by using our fast online solution! We can unlock the newest Motorola smartphones, Motorola V9, K1, Krzr, Atrix, Defy, Backflip, V3, Razr and all other Motorola Models! 2. Choose the original country and operator of your Motorola Defy Mini XT321 and – not the one you wish to use after the unlock process! How to Unlock Motorola Defy Mini XT321 Phone - Tutorial! Bellow are the steps you need to follow in order to unlock your Motorola smart phone. 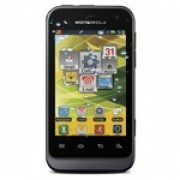 I wonder if it is easy to process after I receive the codes for my Motorola Defy Mini XT321? Hi Tom! Yes, the process is very easy, you just insert the unlock code when your device prompt for a code and your device is unlocked in less than 2 minutes. Thank you!